Reef Rentals is an established and respected vacation rental agency since 1998 in Ocean Reef. Our goal is to maximize your vacation enjoyment by offering exceptionally elegant and unique properties for both short and long term rentals. 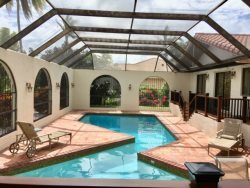 Ocean Reef is located at the northern tip of Key Largo, approximately 50 miles by road southeast of Miami Airport. The private club can be reached by land, sea and air and named in Robb Report as "one of America's most exclusive club communities". As a guest of Ocean Reef you will enjoy the natural beauty and an array of activities that go on year round. From the moment you enter our oasis away from the world you can enjoy a multitude of outdoor sports and recreation, exceptional dining, a Cultural Center with movies and special events, Reef Club Kids with planned activities, and Buccaneer Island which offers water sports, a swimming lagoon, beach bar, three restaurants and Olympic-size pool. 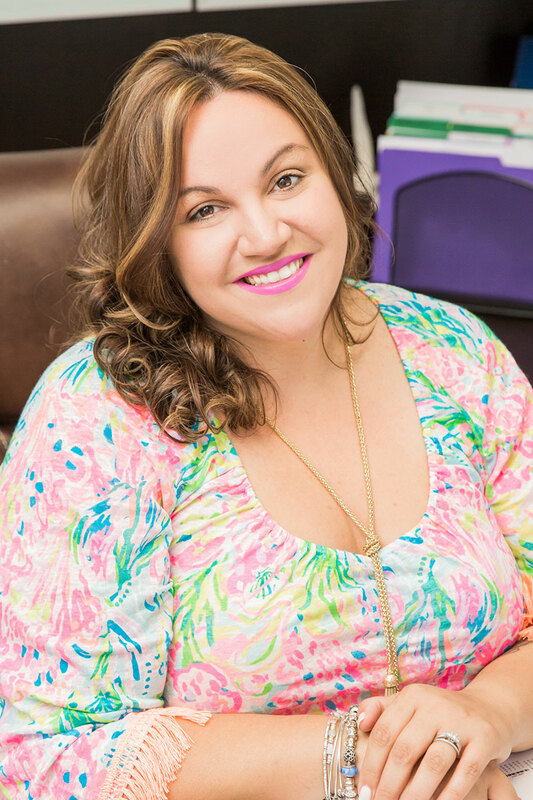 Nicole has been with Reef Rentals for over 8 years, ensuring that guests receive the most acommodating service possible. 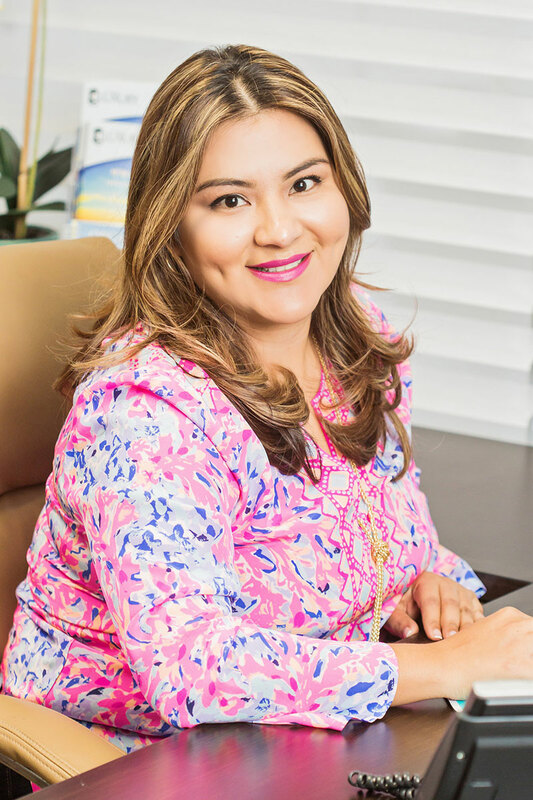 She oversees the management of the units and bookings, while corresponding with guests on their experience at Ocean Reef Club. Nani oversees the bookings and availability of all properties, corresponding with guests on their experience, and other important tasks to ensure the best vacation possible. How accurate is your availability list for each vacation rental? The availability calendars are always accurate and up to date. The property information you look at on our website is linked to our reservation so ware at our office, so we do not need to update the calendars. Availability is updated instantly, when a reservation is made. How many times can I stay at Ocean Reef can I visit before becoming a member? Within a two year span, 14 days sponsored by an Ocean Reef Member. What types of membership are available at Ocean Reef Club? Ocean Reef offers Social Memberships to both Local and Non-Local (residing outside of Miami-Dade and Monroe Counties) being sponsored by two Equity members and a member of the South Florida Membership Committee. When you decide to own property in Ocean Reef Club, you must become an Equity member in order to use the Club's facilities. You and your guests will enjoy all the amenities of the Club from Buccaneer Island lagoon, paddle boats, and pool to the array of restaurants and shops. Come in our office and we will share with you information we have regarding the club and benefits to being a member. Our Dress Code is an important tradition at the Ocean Reef Club and was established as a complement to the excellence in standards for which your Club is noted. We hope that the following guidelines will be helpful in making your visit enjoyable and comfortable for you and your guests. Dining Attire: Dining at Ocean Reef Club is a special experience. Sports coats are preferred for gentlemen in the evening in the member-only Clubhouse, as is appropriate evening wear for ladies. The more casual restaurants, such as the family-style Galley, The Islander and The Ocean Room, require a collared shirt and dress trousers for gentlemen (walking shorts during the summer—May 1 - October 31) in the evening. The outdoor Palm Court, adjacent to the pool, requires footwear, shirts and bathing suit cover-ups. The patio-style Raw Bar and The Burgee Bar sports lounge in The Fishing Village both require neat boating wear. Please note that blue jeans are only allowed in The Galley, The Burgee Bar, The Raw Bar, and during breakfast service in The Ocean Room, provided the jeans are not torn, tattered or frayed. Casual and Sports Attire: Collared shirts (no mock turtle necks) are required on our golf courses and tennis courts. Sporting shorts are acceptable in the appropriate activity areas. We ask that you remember traditional white attire if your plans include croquet. Bathing Attire: Bathing attire requires cover-ups and footwear for any area beyond the pool. Thong-style suits are inconsistent with the Club's family environment and are, therefore, inappropriate. Unacceptable Attire: Tank tops, tank-style undershirts and jogging tops for men, crop and jogging tops for women, frayed cut-offs and tattered jeans are not acceptable attire. Shirts with sleeves are required (for males) at all times in all public areas other than the pool. Gentlemen are expected to remove hats while indoors. We also ask that your guests and children over 12 years of age be attired to the code. Why do we need a card? The Club is a non-cash facility (other than at the Service Station and retail shops), therefore we charge everything to your member or guest card. Why should I rent a golf cart while at Ocean Reef? What are the minimum night stay requirements? We have a 2-night minimum during low season; Holidays and peak season have a 3 or 4 night requirement for booking the reservation. Do I need to talk to someone or can I book my reservation on line? Please call an agent to make your reservation. I won a stay through Reef Rentals, LLC at Ocean Reef at a charity benefit, how do I redeem it? Contact our office at (305) 812-4836 to redeem it.It is typically good for one year from the date issued. What is your Newsletter all about? Are you going to send me 6 emails a day if I subscribe? No, we aren't going to send you 6 emails a day. 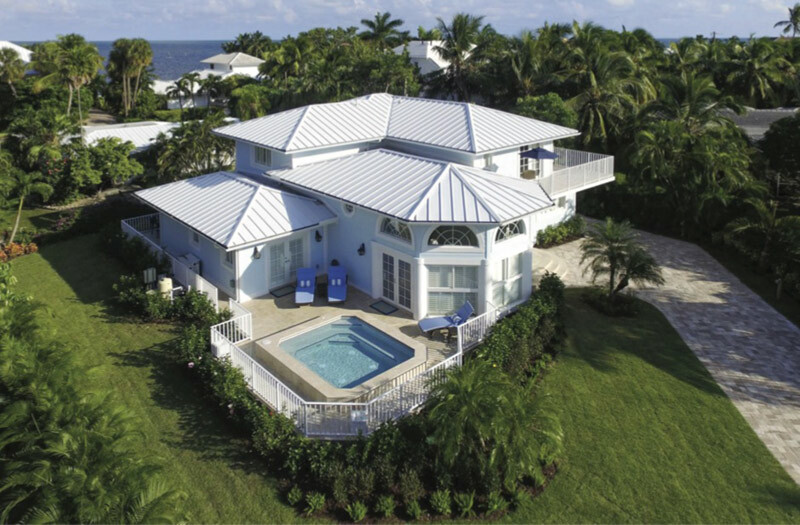 It is really challenging at times to get an email newsletter out every month!Reef Rentals uses its newsletter to keep people informed about activities in Ocean Reef, current and upcoming Specials, and new properties available. I am looking to book something for Christmas holidays, when should I book? As early as possible, we get very busy from November 1- May 1 and time is of the essence. What if something happens and I have to change my reservation or cancel? The unexpected always happens when you are trying to get away for a vacation. If you need to change your plans, give us a call. We will do everything possible to move your reservation to another date at the same property or another comparable if not available. If you need to cancel a reservation, written notice of cancellation must be received by the Lessor, sixty days (60) prior to scheduled arrival (ninety (90) days for specified holidays) to avoid forfeiture of the entire rental amount. If the property is fully re-rented an appropriate refund will be issued less a 20% cancellation charge. If partially re-rented a prorated refund will be issued less a 20% cancellation charge. In the event two or more parties jointly lease a property and one party cancels, the remaining party/parties shall be obligated for the rent as stipulated. All notice of cancellation must be in writing and acknowledged by the management company. Reef Rentals made our family getaway the perfect experience. Our rented house was immaculate and the amenities were excellent. Once I arrived, it immediately felt like home. Nicole made sure we had everything we needed, and the whole process went smoothly. Highly recommended! Beautiful property, great food and drinks, helpful staff - what more could you ask for?